Ever since learning that my friend Tim and his wife Liis were expecting, I knew I would be knitting a sweater for their little one. We met Tim when we were living in NYC; he’s an amazing photographer and one of those people that feels like family after you’ve only known them a short while. Tim and Liis moved to California while we were still in NY, and then we moved to Texas and Tim and Liis moved to Switzerland. Their beautiful baby boy Johannes was born in December and Auntie Kim is a bit late in getting a sweater to this little guy. I knit him the Storytime Scholar Cardigan by Lisa Chemery in the 9-12 month size, and I think it will easily fit him well into his first year. You can’t go wrong with a grandpa sweater for a little boy, and the garter stitch elbow patches really sold me on this pattern. The yarn I used is quickly becoming an easy go-to yarn for baby sweaters: Berocco Vintage. I like it because its soft, wooly and heathered, but with an acrylic content so its washable and no-fuss for the parents. 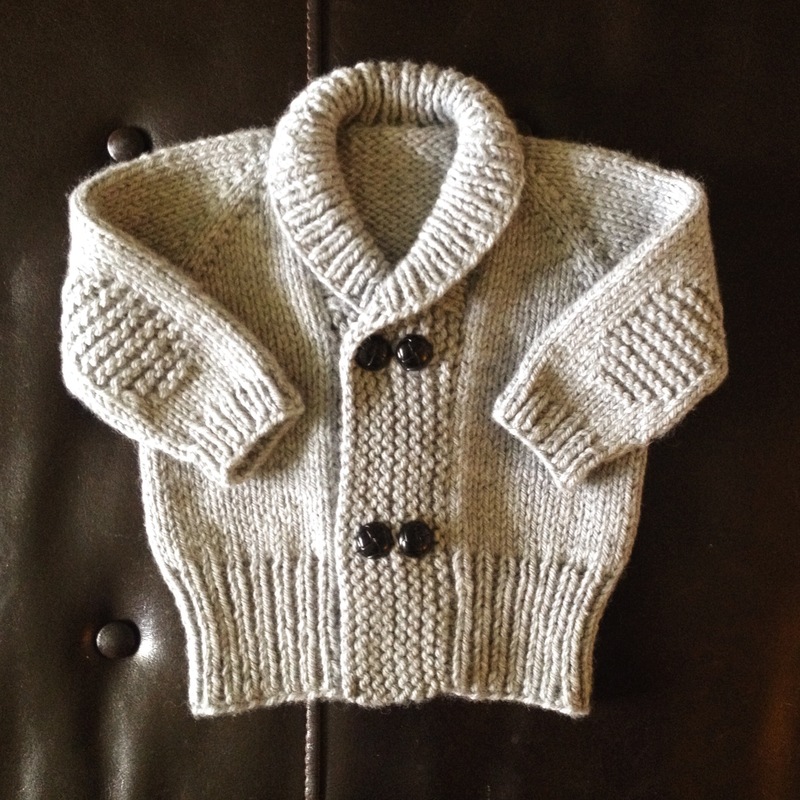 I think it resulted in a sweet little sweater and I hope it keeps baby Johann warm and stylish in Switzerland. What a wonderful thing for a father to say. That cardigan is so cute! Love the “grandpa chic” aesthetic. I’m tempted to knit one for my little guy. Love what Tim had to say, but I keep thinking of the “bigs” and “littles” in the movie Role Models (a guilty pleasure of mine — Paul Rudd!! ).